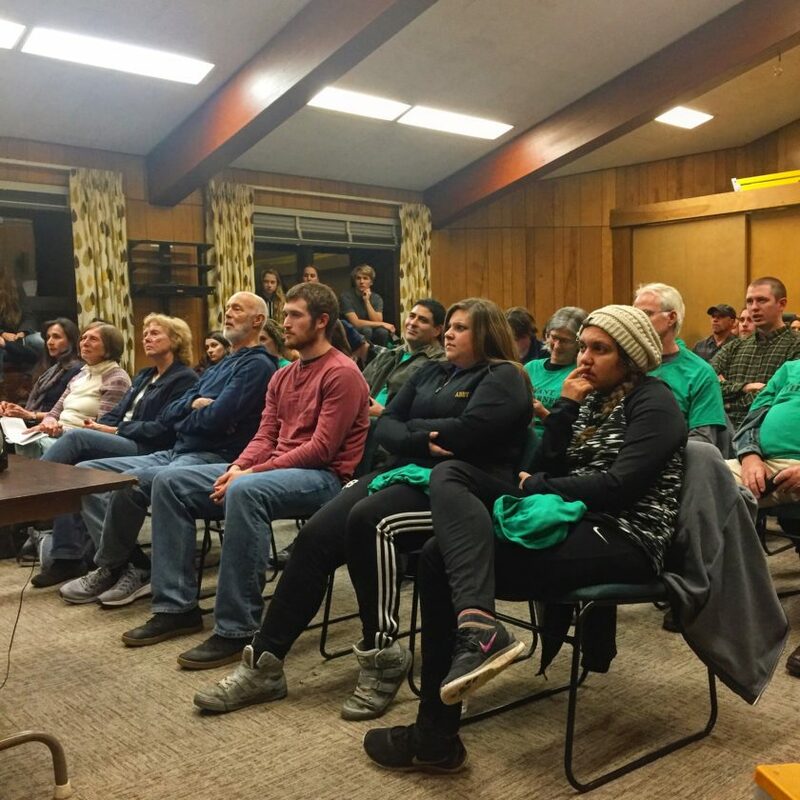 RAY BROOK — The first of eight public hearings on classifying more than 100 parcels of land including the Boreas Ponds tract drew an overflow crowd to state Adirondack Park Agency headquarters Wednesday night. The overflow crowd spilled across the parking lot to the state Department of Environmental Conservation building as about 85 people signed up to make public comments on the classification of tens of thousands acres of land in the Adirondacks. People spoke until after 10 p.m. While the majority of speakers favored a more restrictive wilderness designation, local government representatives from the central Adirondacks also made a strong showing, calling for more access to the more than 20,000 acre Boreas Ponds tract. APA spokesman Keith McKeever moderated the three-minute comment time for each person and noted that this was likely the largest public hearing the APA had ever held. With the large crowd, many speakers left the room after giving their comments so that people in the DEC building could come into the APA. 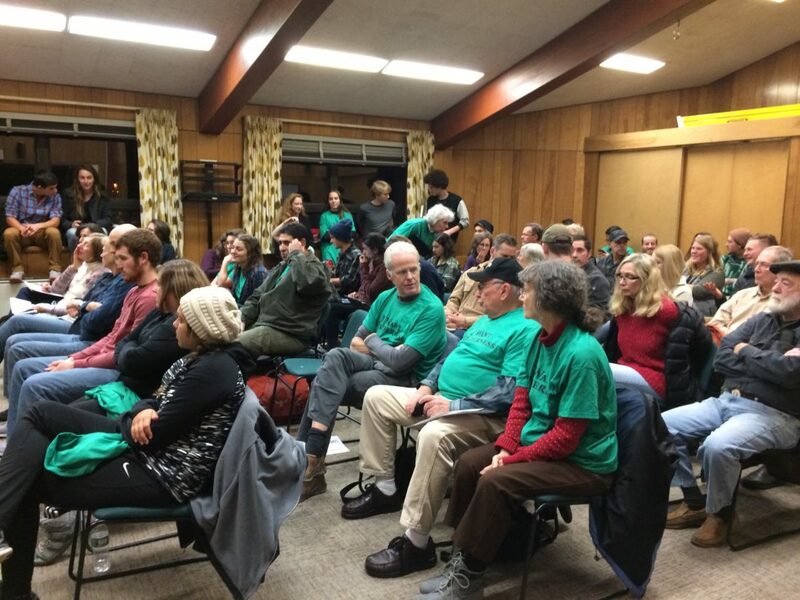 Several speakers wore green “I want wilderness” t-shirts and applause seemed to be more robust for wilderness advocates. One common theme among the commenters was the lack of alternative plans for classifying the lands. The APA had originally put out three possible classification plans, and added a fourth at last month’s regular meeting. Several commenters called on the APA to release more plans, including all-wilderness and an all-wild forest options. The four plans each contain a mix of wilderness and wild forest. While most speakers called for the wilderness designation, many of those calling for the looser wild forest classification cited the history of the property and the network of roads, dams and other infrastructure to make their case for wild forest. Several people argued for access through the wild forest for people with disabilities. In addition to members of the public, board members and officers of groups like the Adirondack Mountain Club, Protect the Adirondacks, Access the Adirondacks, Adirondack Wild, the Sierra Club, the New York State Conservation Council, the New York State Snowmobile Association and Adirondack Wilderness Advocates also submitted spoken and written comments. Although all the commenters spoke about Boreas Ponds, the APA has taken up a classification package this year that contains 101 other parcels. The public comment period is open to all parcels, not just Boreas Ponds. There will be seven more public hearings across the state, and written comments can be submitted until Dec. 30. Written and spoken comments carry equal weight in the public hearing process. To submit written comments, email classificationcomments@apa.ny.gov, or mail to Adirondack Park Agency, PO Box 99, Ray Brook, NY 12977. To see the dates of the next public hearings where spoken comments will be taken, visit www.apa.ny.gov/State_Land/2016Classification/ClassificationPublicInput.pdf.